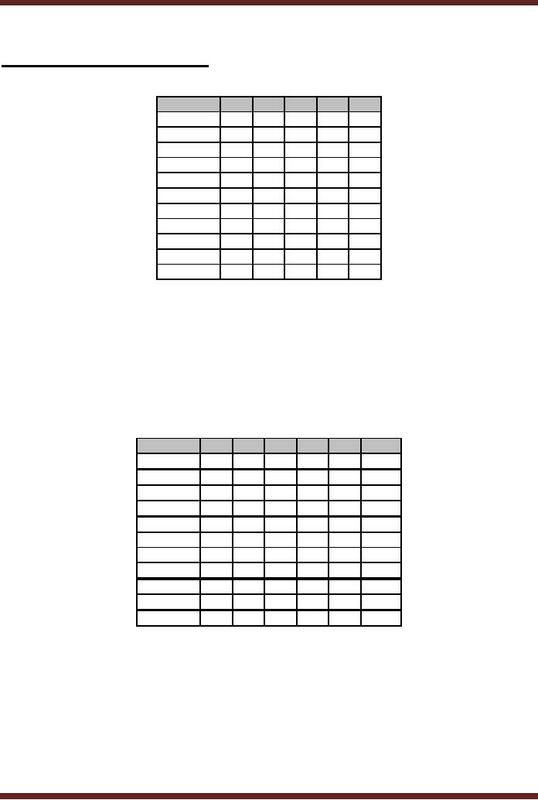 The results of the comparisons between minterms are represented in a separate table. product term ABCE . 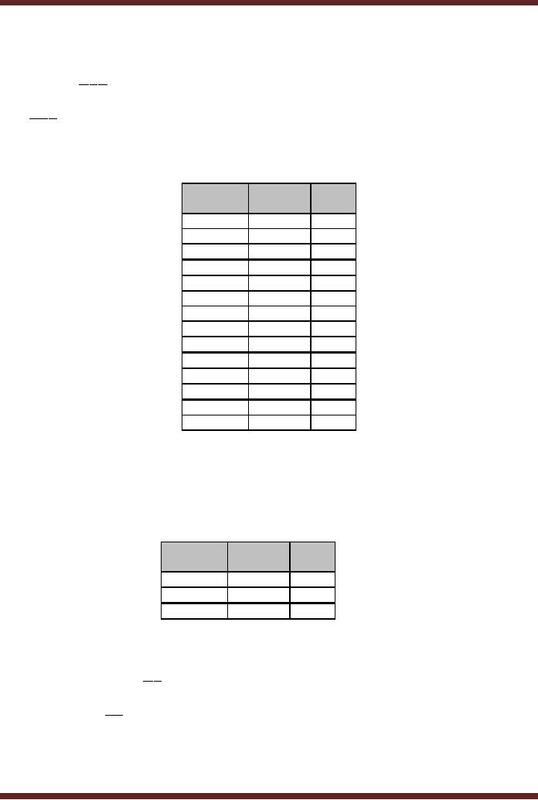 The comparison terms 1 and 3 are marked as used in table 13.2.
eliminating a single variable from each term. All the 14 terms are represented in table 13.3.
comparisons between two terms in table 13.3 are represented in a separate table. Table 13.4.
terms and elimination of variables take place, thus the Prime Implicants have been found. ABCE , ABE , BCE and BDE . implemented from table 13.3 and 13.4.
is the same with same number of variables. perform some function are known as Combinational Logic. examples discussed earlier, Boolean expressions for various functions have been determined. 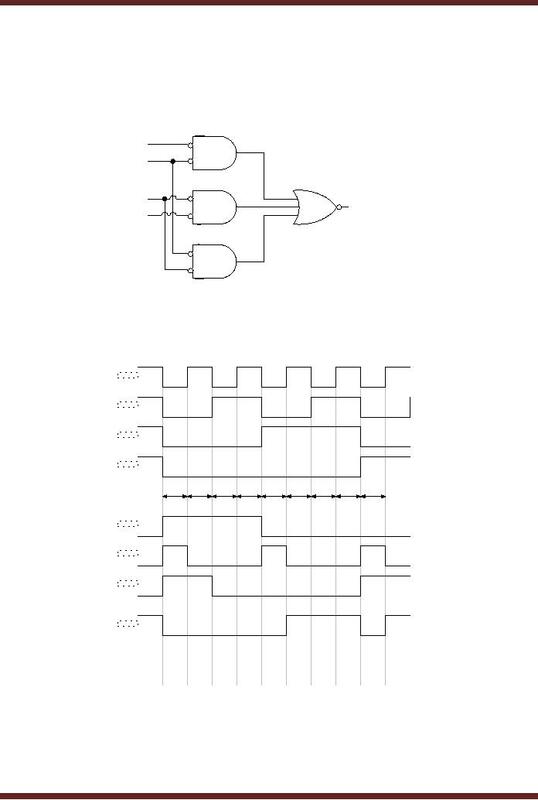 gates to form Combinational Logic Circuits. complemented form, requiring the use of NOT gates. 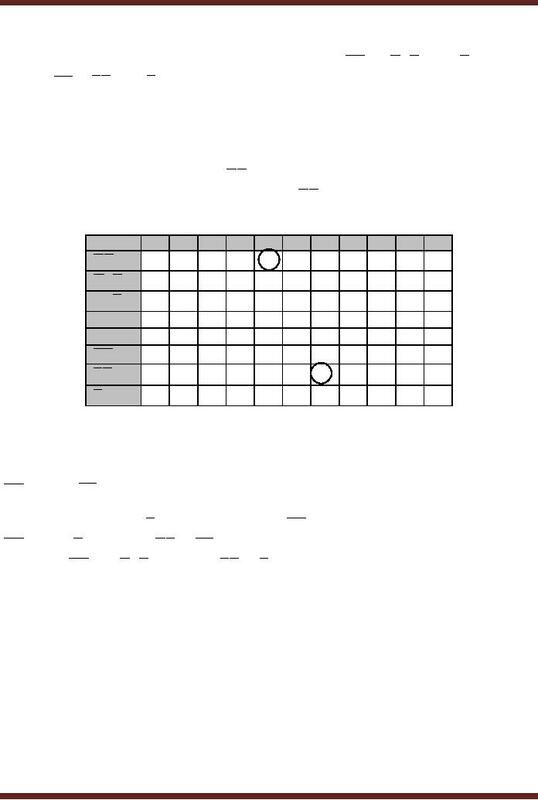 implemented by NOT gates connected to the inputs of the AND gates. implemented by NOT gates connected to the inputs of the OR gates. 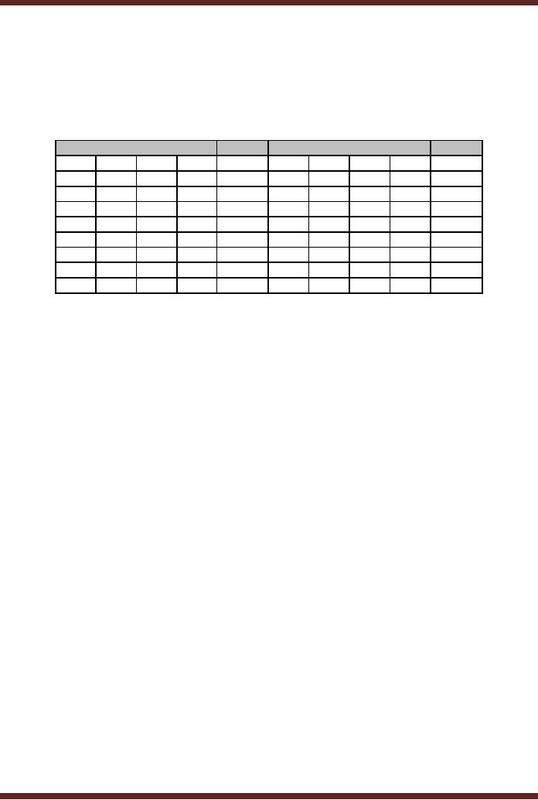 implemented from the function table. method if the number of variables exceeds 4. 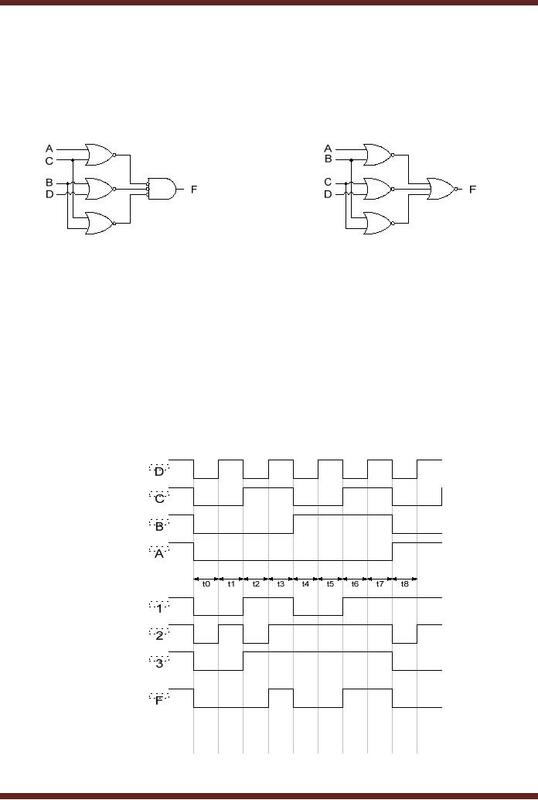 NAND or NOR gates is also discussed. 1011, 1100, 1101, 1110 and 1111 the output function is a 1.
requires 8 AND gates for the 8 product terms (minterms) with an 8-input OR gate. 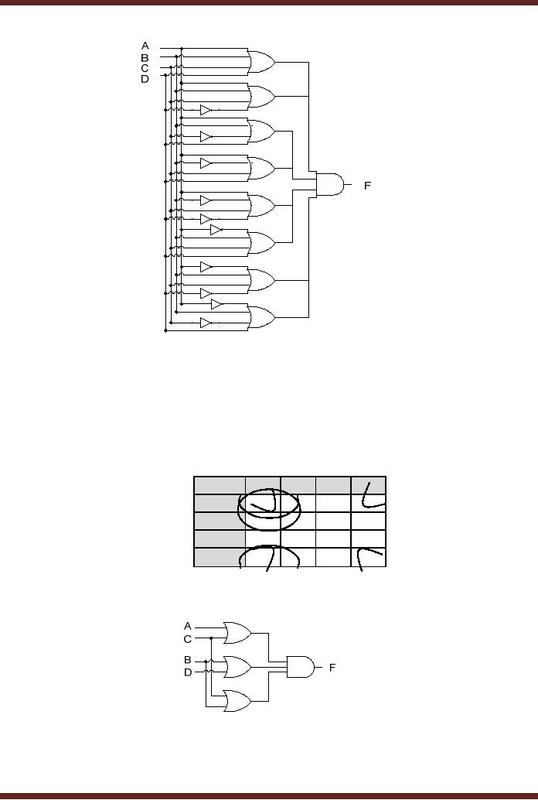 Figure 13.3.
implementation without changing the number of gates. Figure 13.6. Bubbles representing NOT gates are placed at the output of the three AND gates. 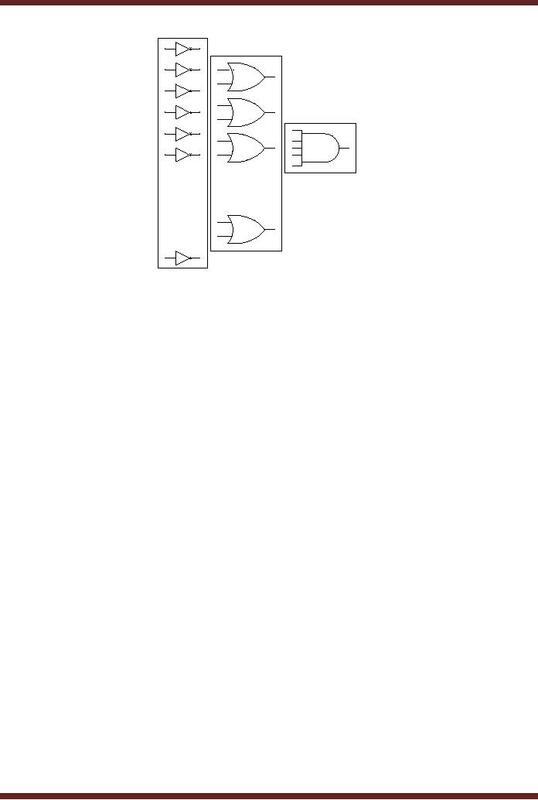 the three inputs is an alternate symbol for a three input NAND gate. the circuit size and cost as the Integrated Circuit packages multiple gates in a single package. separate IC packages (74LS08 and 74LS32) are required. or the POS based implementation is to reduce the size of the circuit and have a simpler circuit. minterms or maxterms to achieve a combinational circuit that uses the least number of gates. 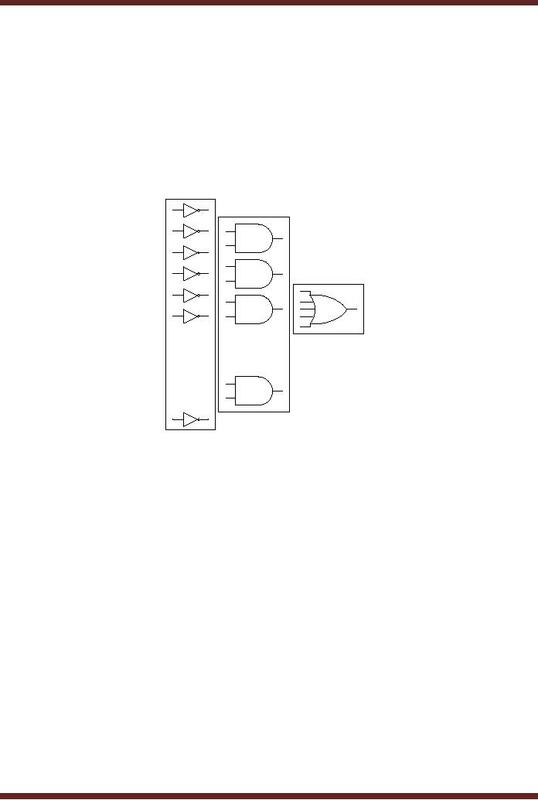 The simplified Adjacent 1s Detector circuit can be implemented using only NOR Gates. without changing the number of gates. 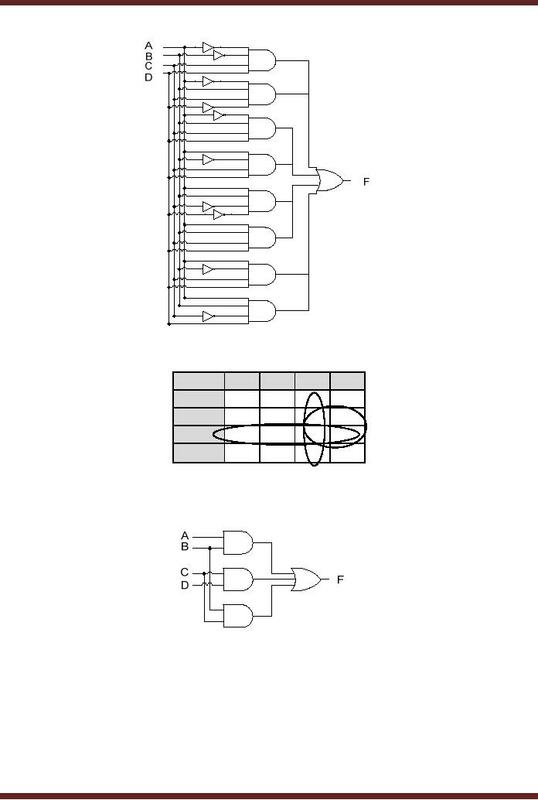 Figure 13.10.
at the three inputs is an alternate symbol for a three input NOR gate. outputs of the OR gates 1, 2 and 3. The timing signal F represents the output of the circuit. and 3 are 111. The output F is again 1 indicating adjacent 1s. circuit which operates in an identical manner to that of a SOP based circuit. The circuits discussed so far have their output set to when to indicate an active state. 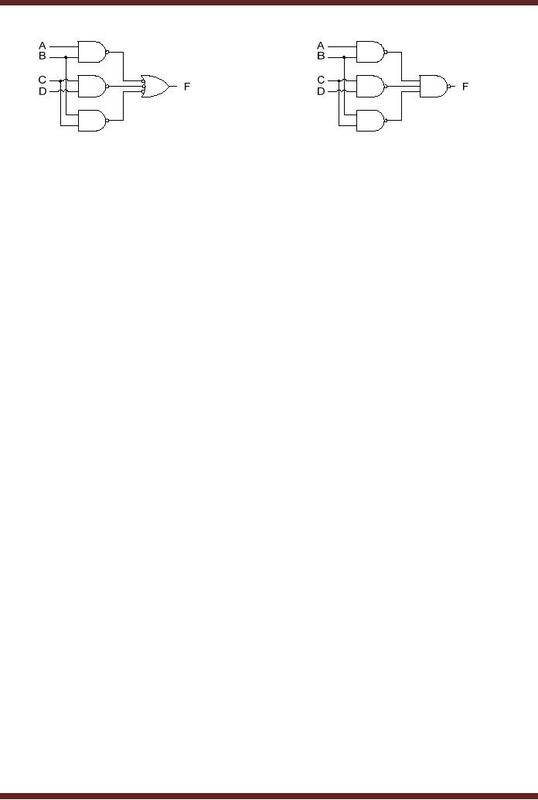 to 1 to indicate an active state. bubbles connected to circuits inputs. The four circuits discussed so far have active-high inputs. AND gate performs AND operation on two active high inputs to result in an active high output. verified with the help of a timing diagram. Figure 13.13.
their alternate symbolic form. The timing signal F represents the active-low output. 1111. The active-low output F is 0 which indicates that adjacent 1s have been detected. and the parity bit to determine if an error has occurred. with odd parity is assumed. The receiver circuit is also based on the 4-bit data.